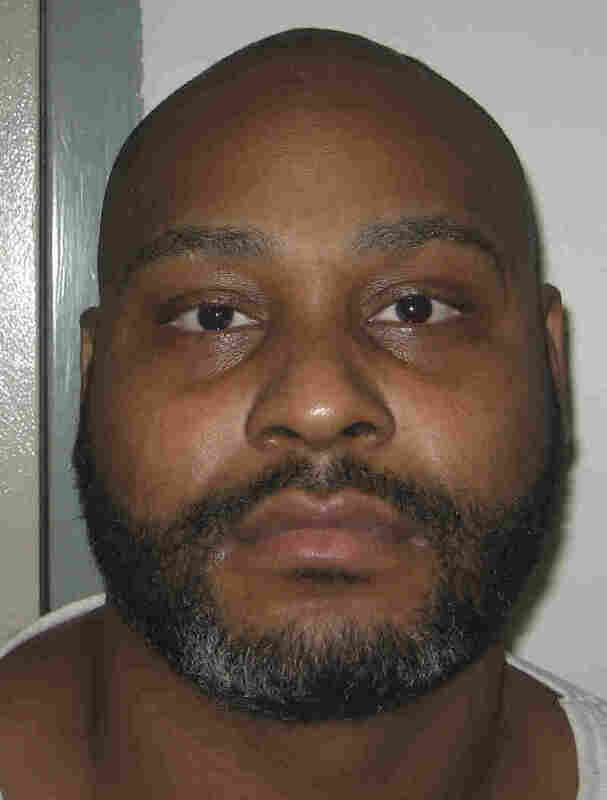 Virginia Executes Convict With Drug From Anonymous Compounding Pharmacy : The Two-Way The execution of Ricky Gray on Wednesday was the first known instance of a state using midazolam, a sedative, that was not manufactured by a pharmaceutical company. 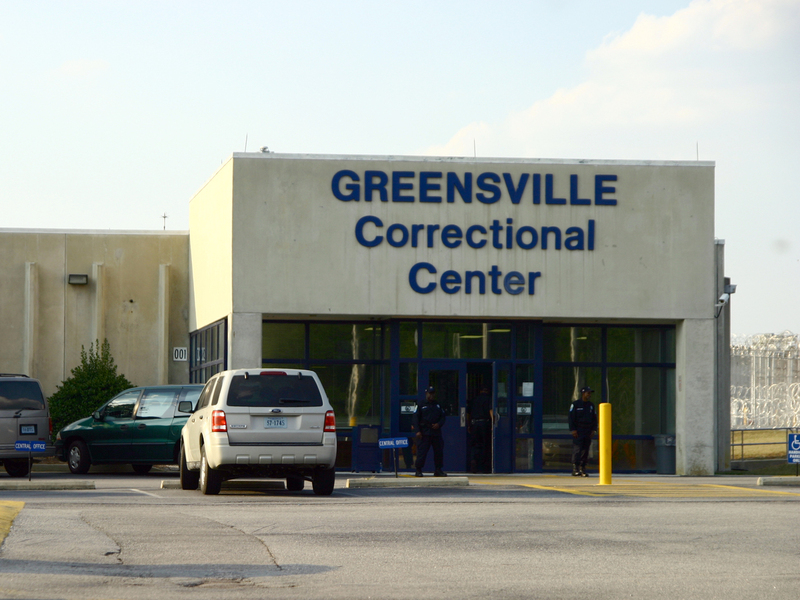 Ricky Gray is scheduled to be executed at the Greensville prison in Jarratt, Va., Wednesday night. State authorities say Virginia has executed a man who was sentenced to death for murdering two children. Gray was convicted of murdering an entire family in 2006 and given the death penalty for killing the children. His execution would be the first known instance of any state using a dose of the sedative midazolam that was procured from a compounding pharmacy. The execution of Ricky Gray by lethal injection is the first known instance of any state using a dose of the sedative midazolam that was procured from a compounding pharmacy rather than a pharmaceutical company, according to the Death Penalty Information Center. On Tuesday, Gray filed a final appeal to the Supreme Court arguing that his execution should be delayed until the state had addressed concerns about how it procured the lethal injection drugs that would be used to end his life, but the Supreme Court declined to step in. Gray was convicted of murdering an entire family in 2006, although the death sentence came in the deaths of two children. He and an accomplice killed Bryan and Kathryn Harvey, and their daughters, Ruby, 4, and Stella, 9, according to the Richmond Times-Dispatch. His accomplice in the crime, Ray Dandridge, was sentenced to life in prison. At the trial and in a later appeal, Gray's lawyers presented evidence showing that he had been repeatedly raped and abused as a child and had used PCP and other drugs partially as a way to cope. Under Virginia's death penalty statute, Gray was given a choice about how he wanted die, either by lethal injection or electrocution. If he did not choose within 15 days, the state would default to lethal injection. Gray petitioned the court for more information, arguing that he had a right to know more about the three drugs in the lethal injection cocktail, including their source. But he learned very little beyond the names of the drugs. Last year, Virginia passed a law that explicitly bars the state from revealing anything about transactions with compounding pharmacies that sell lethal injection drugs to the Department of Corrections. The only way to get information about Virginia's sources of lethal injection drugs is through Freedom of Information Act requests. One such request, carried out by The Associated Press last year, found the state had paid $66,000 for vials of midazolam and potassium chloride, two of the drugs that would be used to execute Gray. The state redacted the name of the pharmacy. "What sets Virginia's law apart from other state secrecy laws is that it specifically protects transactions with compounding pharmacies," Megan McCracken of the University of California, Berkeley School of Law's Death Penalty Clinic told NPR. Unlike other state laws that keep the sources of death penalty drugs secret, she says, Virginia's statute could actually incentivize compounding pharmacies over large pharmaceutical companies that are more stringently regulated by the Food and Drug Administration, even if both sources of drugs are available. "Under pressure from activists, many big pharmaceutical companies stopped selling the drugs to states that would use them for executions. That led to shortages, so states turned to new drugs made by compounding pharmacies, which do not face the same kind of approval process that big companies do." After learning that midazolam from a compounding pharmacy would be one of the drugs used to kill him, Gray petitioned Virginia Gov. Terry McAuliffe to stay his execution on the grounds that the drug would "not sufficiently anesthetize him before the administration of the second- and third-stage drugs." Witness accounts suggest that midazolam has failed to render prisoners unconscious during executions in Alabama, Arizona and Ohio. The Supreme Court ruled in 2015 that use of midazolam in executions does not violate the U.S. Constitution's ban on cruel or unusual punishment. "I think the U.S. has now reached a point where it isn't even appropriate to describe an execution gone wrong with midazolam as a botched execution," Robert Dunham, the director of the Death Penalty Information Center, told NPR. "There's enough scientific evidence and enough actual experience to understand that its failure to keep a prisoner unconscious is not, and cannot reasonably be considered to be, unexpected," he said. Lisa Kinney of the Virginia Department of Corrections defended the state's use of midazolam, pointing out that the drug "has been used successfully as part of a three-drug protocol akin to Virginia's many times in states like Florida." "There is a constitutionally intolerable risk that, on January 18, 2017, the Virginia Department of Corrections will chemically torture Plaintiff Ricky Gray to death. The VDOC will do so behind a veil of secrecy that frustrates Mr. Gray's efforts to learn any meaningful details about the chemicals that will be used to cause his death. The risk of chemical torture is a violation of Mr. Gray's Eighth Amendment right to be free from cruel punishment." McAuliffe denied the request on Jan. 13.